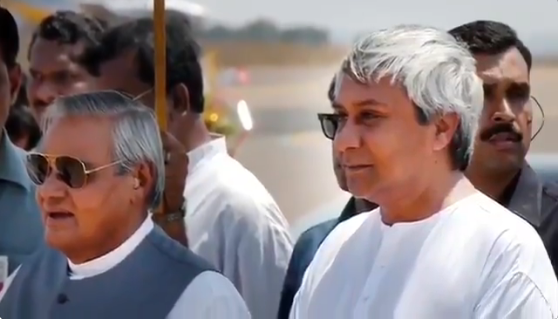 Odisha Chief Minister Naveen Patnaik on Thursday condoled the demise of former Prime Minister Atal Bihari Vajpayee and described him as “one of the tallest leaders of the country”. “I am deeply grieved by the sad demise of Vajpayeeji. India has lost one of its tallest leaders. He was loved by the people of India and more so by the people in Odisha as well,” said the Chief Minister. Patnaik paid his last respects to the late leader at the AIIMS in New Delhi. “Vajpayee passed away on Thursday at AIIMS following a prolonged illness. It is a great national loss today as much as a personal loss for me. I will always cherish my association with Mr Atal Bihari Vajpayeeji especially as it was during my initial years in politics,” said the Chief Minister. “He embodied a unique combination of grace, idealism and tolerance in politics. A statesman who was admired across the political spectrum — rare in politics. His depth of vision and understanding of issues was unparalleled. A man of firm principles and an idealistic poet,” he added. “It is truly the end of an era … Vajpayjeeji had a large heart with a special corner for Odisha — a love that was equally reciprocated by the people of Odisha… We will miss you Vajpayeeji. May his soul rest in peace,” said Patnaik. Before leaving for New Delhi after hearing the deteriorating health condition of Vajpayee, Patnaik recalled working with the former Prime Minister. “You may remember that I have served as a Cabinet Minister in his government for two years,” said the Chief Minister. He had served as union Steel and Mines Minister in the Vajpayee government from March 1998 to March 2000 till he assumed the office of Odisha Chief Minister. Meanwhile, the state government announced a public holiday on Friday. Government offices and educational institutions will remain closed for the day.